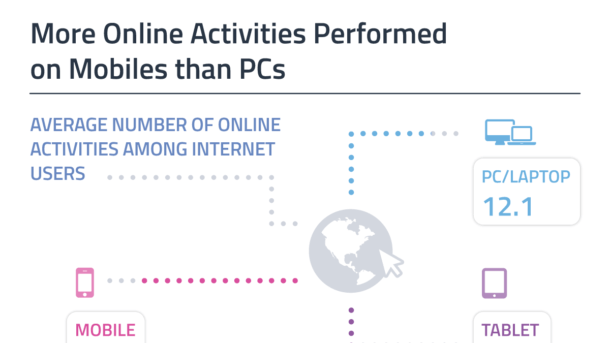 Internet users now average around 14 activities on their mobiles, vs 12 on PCs or laptops. 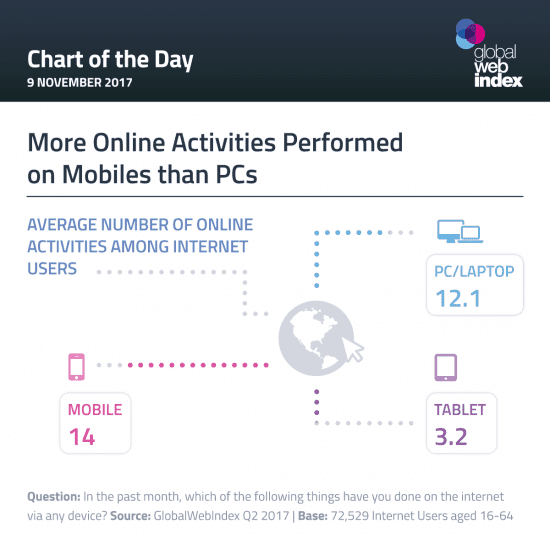 Therefore internet users are doing more on their phones than they are on their computers. This will be due to the rise in mobile usage and time spent on tablet devices. According to Global Web Index mobile will ‘pave the way for location-based retail, AR shopping experiences, social commerce, and mobile payments to take on a more prominent role in the consumer’s path to purchase’. We now live in a mobile-first society and as marketers need to embrace the change.